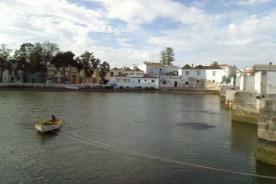 Tavira is called 'the prettiest town' in Portugal by the Portuguese. Located 25kms from Faro and 20kms from Spain, it is a firm favourite for discerning visitors. The city has since been rebuilt with many fine 18th Century buildings along with its 37 churches. A 'Roman' (actually Moorish) bridge links the two parts of the town across the River Gilao. The church of Santa Maria do Castelo, built on the site of a Moorish mosque holds the tombs of D Paio Peres Correia and his knights. The church dates from the 13th century and the clock tower has been remodeled from the original Muslim minaret. A bust of Dom Paio Perres Correia who died in 1275 can be seen on the corner of the town hall. Its original economic reliance on the fishing industry has now passed due to changed migration patterns of Tuna and further silting up of the river Gilao. The population is in the region of 25,000 inhabitants(municipality of Tavira) supporting a military base whilst the surrounding area is still fairly rural and undeveloped. 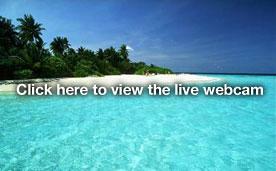 This is now changing due to the demands of the tourist industry and opening of golf courses in the near vicinity. The beach for this town lies past the salt pans and is reached by a ferryboat that takes the visitor to the sand-bar island known as Ilha de Tavira, part of the Ria Formosa. The island and beaches can also be reached from the nearby footbridge in Santa Luzia. Cabanas Park Resort offers apartments with large balconies and an on site Restaurant located in Tavira. You can also enjoy the fantastic pool with a huge lawn surround, jacuzzi, and all kinds of activities such as cycling, canoeing, sailing, diving and golf at Cabanas Park Resort in Tavira. The Benamor Golf Club and Golf Course is located in Tavira and offer various facilities to golfers: Pro Shop, Changing Rooms, Restaurant & Bar, and a Clubhouse. The Benamor Golf Club and Golf Course's Driving Range, Putting Green and large Putting Course offer excellent practice facilities in Tavira. Casa Val Del Rei is an old rural farmhouse surrounded by orange groves and olive trees in Tavira, a fishing town bearing strong Moorish influences with cobblestone streets and picturesque squares preserving a lot of Portugal's old charm. Casa Val Del Rei farmhouse offer 7 rooms and various nearby attractions can easily be reached from here, including: golf courses, Zoo Marine, catamaran cruises, Canoeing, Cycling, Horse Riding, Kite surfing, Windsurfing in the Travia area. Do you have, or know of, a company or business that operates in Tavira?